This year’s highest end budget smartphone, the LG Stylus 3 is available at SRP Php11,990. A free premium case and 16GB SD card worth Php2,500 is included in the package. If you’re looking for a smartphone that delivers powerful performance and stylish design at an affordable price, the LG K series is your best bet. 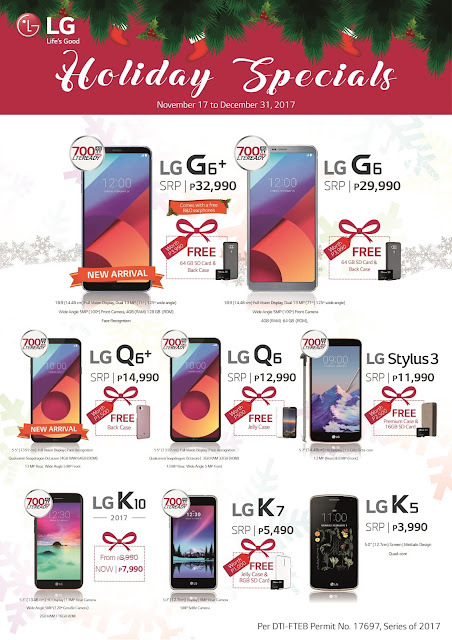 Under the Holiday Specials promo, you can get the LG K10 2017 at a discounted price of Php7,990 (from Php8,990). And the LG K7 is available at SRP Php5,490 and comes with a free jelly case and 8GB SD card worth Php1,000.